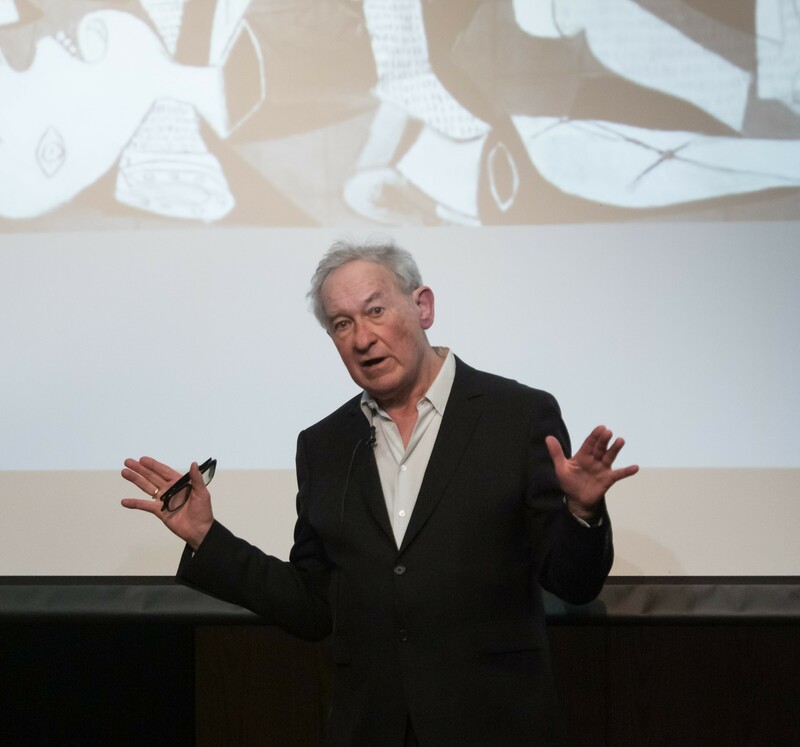 On a glorious spring afternoon last week, we welcomed Sir Simon Schama CBE to Godolphin to give the Annual Godolphin Lecture. His talk was an illuminating journey through history, politics and art, made vivid through anecdote and a lifetime’s experience of thinking about humanity at its best and worst. Ranging from Herodotus and Picasso, to Brexit and immigration, he examined the complex issues that face the world, and in particular, Britain, today. Sir Simon also spent time earlier that afternoon in conversation with Sixth Formers studying Humanities subjects, discussing everything from contemporary Chinese art to growing up in Post-War Britain and Sixties fashion. After his lecture, Sir Simon was Guest of Honour at the Academic Scholars’ Annual dinner, where Mrs Radice gave a talk about the Go Discover programme and Head Scholar, Alex Holmes, spoke about what being a Scholar meant to her. It was a privilege for us all to hear Sir Simon’s analysis of vitally important issues, and his thought provoking comments will resonate throughout our discussions for the foreseeable future.